PLACE Design Group is excited to announce a new design team for the Gold Coast Office. Welcoming Design Leader Alex Cohn and newly promoted Lead Landscape Architect Sam Shepherd, the team is set for the next phase of the Gold Coast’s development. Working alongside the new design leaders, Peter Bell, PLACE Design Group Planning Principal is looking forward to collaborating closely with Alex. Having continued to grow the planning arm of the Gold Coast Office Peter says it is an exciting time for not only PLACE Design Group but for the Gold Coast. 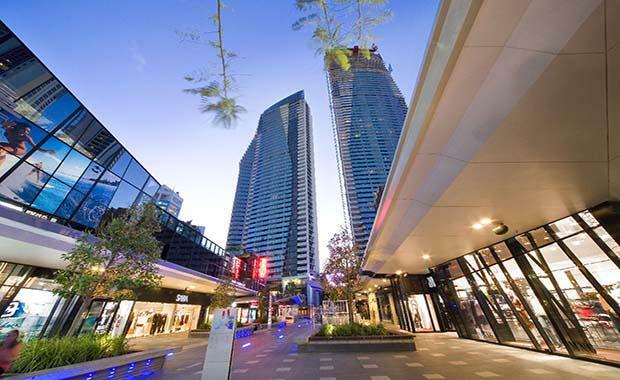 “We are starting to see strong recovery of the Gold Coast market. There is a lot of interest from developers looking for new sites as well as an influx of Chinese investors who are securing development sites and are constructing major projects, the likes of Rhapsody and Jewel. "There is also major construction happening with the Pacific Fair redevelopment and Coomera Town Centre. This has fuelled confidence and increased activity with smaller projects especially around the Southport PDA. The expectation for 2015 will be for substantial development activity and having Alex and Sam working alongside will be of great benefit,” Mr Bell said. Returning back to the Coastal Community that he knows so well, Mr Cohn will bring over 30 years of professional design practice and knowledge, as well as international design appreciation to this new role. Having arrived in Australia in 1990, Mr Cohn's first role was at a local architecture firm; Cummings + Burns located in Southport, with his first project working on a series of prestige golf front houses at the renowned Royal Pines Resort. Having left the Gold Coast in early 2000 it is still obvious to see thatMr Cohn's passion for this region has never wavered, “I love the optimism and unashamed confidence with which this city grows and develops. I also love its environmental wealth and its natural, raw beauty. As an immigrant this city represents my second “hometown” where I formed my first impressions of the Australian culture and its lifestyle,”Mr Cohn said. Alex CohnAfter spending ten and a half years working at the PLACE Design Group Brisbane office,Mr Cohn is drawing on his strengths and is thrilled about his new position. “This role represents the opportunity to give back to the city that as a young professional gave me opportunities to develop and integrate in an advanced and competitive design culture. The untapped potential in this part of the world is incredible. Sam Shepherd who will be leading the Landscape Architecture team is equally excited to take on this new role and demonstrate to the Gold Coast community his experience, enthusiasm, and passion for quality resolved built environments. Mr Shepherd has ten years of experience in the industry, with a background in Master Planning, Landscape Architecture, and Public Spaces that will prove invaluable in his new role. PLACE Design Group has a strong history of leading significant Planning, Urban Design, and Landscape Architectural projects on the Gold Coast. The next design era for PLACE Design Group is set to build upon the legacy of creating great places for years to come.